You’re creating the wrong titles. That’s it. That’s the #1 reason your blog isn’t working. Obviously at Ghost Blog Writers we have companies coming to us looking for help with their blogs. Sometimes they want to start blogging from scratch. Other times they want to help revive a blog. Other times they’re doing the blogging on their own, but not seeing any results. It’s really a mindset that’s at the heart of the title issue. It’s a lack of understanding of what a blog and blog post should be. …your blog is the first introduction to a potential customer. Sometimes when a business comes to us they’ll have an idea for a blog post. Or when they come to us I’ll go check out their blog and see what posts they’ve already done. Let’s say the business is a dental office. It’s not that this information doesn’t belong on the website. It absolutely belongs on the website. But it belongs on sales pages. 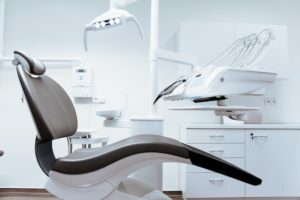 The homepage should have information about the services or introduce Bob’s Dental and then link to the Services page, which should also have the reasons why people should choose Bob’s. And the pricing would be on the Services page or the individual service pages or even on the homepage or on a separate pricing page. Potential blog readers have no idea that you exist. Blogging is not about selling. And that’s why titles are the #1 reason you’re struggling with blogging. You’re doing selling on the blog when the blog is where you should be doing branding. Branding is earning the attention of your target customer. In this case it’s earning their attention with your blog. The key again is that those potential customers have no idea you exist. Let’s say Bob is shopping at the grocery store. He sees someone in the toothpaste aisle looking at toothpaste. Kind of deciding on what to buy. I see you’re looking at toothpaste. Here are 3 reasons you should come to my dental office. Seems a little forward, right? That is a helpful piece of information. A blog is like the second encounter. It’s about identifying the questions people are asking in relation to your industry and providing the answers. When you break it down people are looking for two basic types of information when they’re not interested in buying something: Education & Entertainment. A blog can provide both. You want to mostly focus on content that educates the customer on things they care about. It’s good to look at information where you are an expert, but you can also research other things that your customers care about and provide them with information. And if you can provide an entertainment aspect with the content you’re doing even better. Telling a story while you provide an answer or something like that can be both educational and entertaining. That’s really the trick with blogging, but it’s the most overlooked aspect of blogging. One other quick note on using the wrong titles for you blog…it could be a frequency problem. I’m a believer that frequency or quantity builds quality. I’ve been blogging for over a decade. In the early days I would blog everyday. I didn’t think about it too much. I just made it a personal goal to blog everyday. I had to learn that it’s not about selling. It’s not about me. It’s about educating and entertaining. That’s what the audience wants and with each blog I learned more and more about what blog readers are looking for. Many businesses don’t even come close to the frequency it requires to learn about their target blog readers. If they were blogging often (at least 1-2 times per week) they would learn that sales-type blog posts don’t get any interaction from readers while how-to posts get much more interaction. And even beyond that you’ll learn that certain how-to posts work better than others. But it all comes from frequency. The more you do something the more you learn and the better you get. It’s true in so many areas of life and blogging isn’t different. If you’re struggling with your blog I feel for you. But I have a good feeling that I know that the biggest issue is the titles you’re creating. Everything with the blog starts with the title and if you get the title wrong you’re doomed. So take the insight above and switch your title strategy. Start focusing on what your target readers want and less on what you want and you’ll earn their attention in the long run. That’s how you earn their trust and then their business.